Architects Gianni and Paola Tanini, who founded Devon & Devon together in Florence, Italy, in 1989, at Salone del Mobile. This spring, Devon & Devon unveiled their latest designs at Salone del Mobile—and in one of the most beautifully installed showrooms at the fair, we might add. The space captured the company’s signature style, which reinterprets classic traditions (think Belle Époque and Art Deco) for today’s interiors. But Devon & Devon isn’t just bathroom fixtures and fittings (the company produces consoles and vanities, mirrors, lighting and accessories) but wallpapers and marble mosaic flooring, too. Below, we're taking a look at some of our favorite new additions to their 2018 lineup. Just in time for summer comes Summertime, a compact vanity and mirror (above) that take their stylistic cues from 1960s cocktail culture. The cabinet features push-open drawers and comes in a sophisticated range of colors, including cream, warm gray, blue violet, red and an antiqued metallic leaf, with an entire catalogue of marble options. (Below it is the Devon & Devon’s marble flooring design, Prestige.) 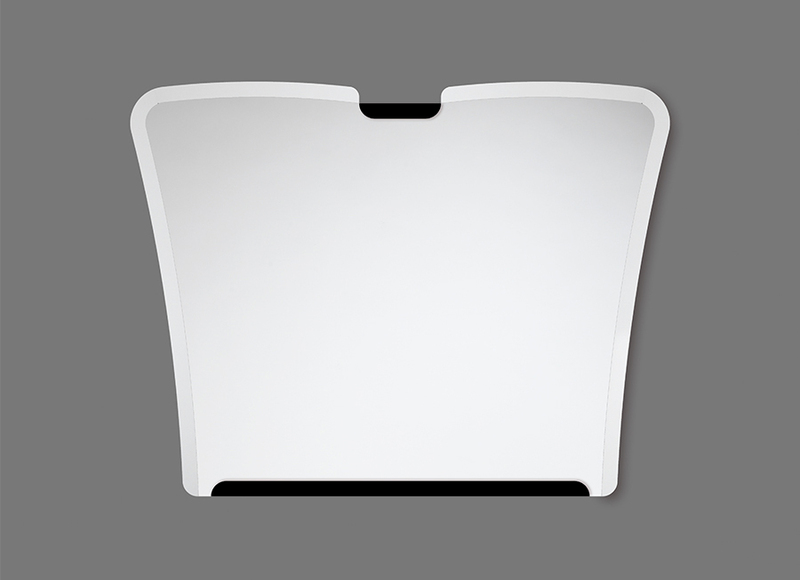 The shaped mirror features rounded corners, diamond-cut edges and lacquered-wood inlays that can match your color choice of vanity. Sound (above) is a classically inspired washbasin set atop a sleek and petite metal base. The design features a gray marble top inset with a white ceramic washbasin. 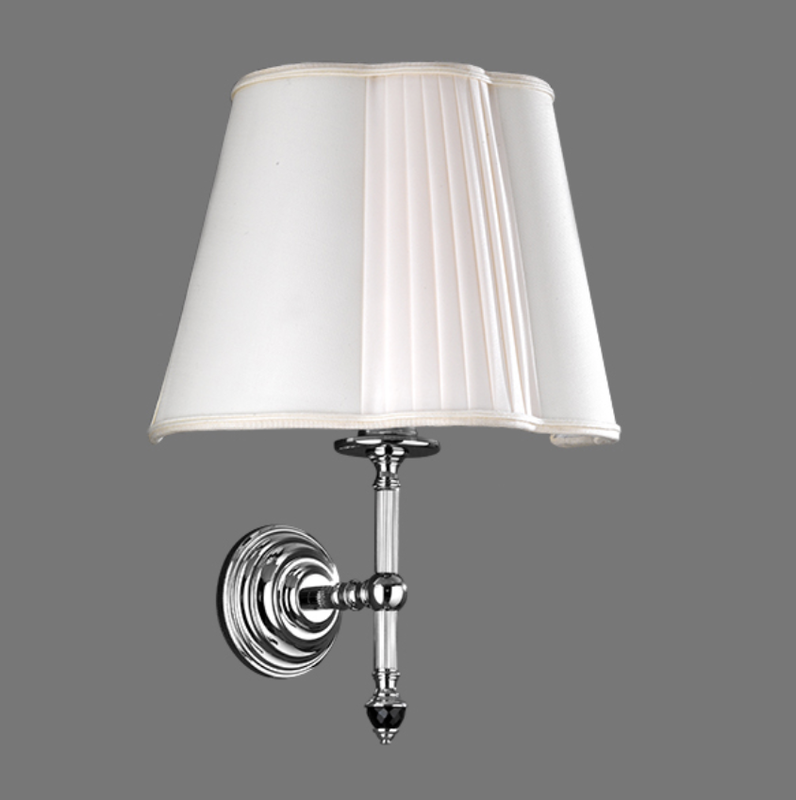 The turned-brass legs have a polished nickel finish, or can also be ordered in chrome or light gold. Also shown is Carolla from the company's wallpaper collection. 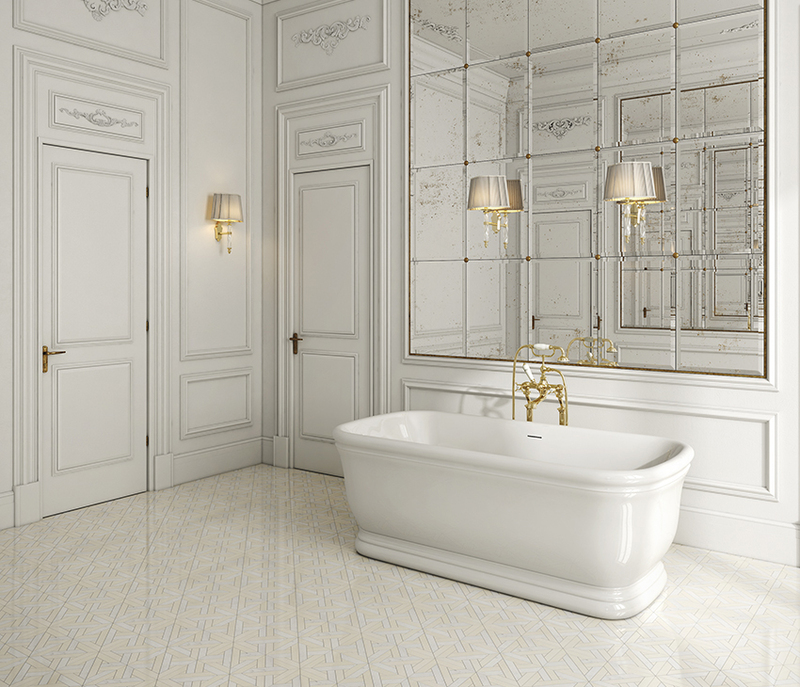 Also new is the Hollywood bathtub, a synthesis of classical and contemporary style. Its versatile form—a freestanding rectangular design—makes it a beautiful focal feature for the bath. Its glossy, polished surface is available in more than 500 colors, offering you the ultimate in customization. 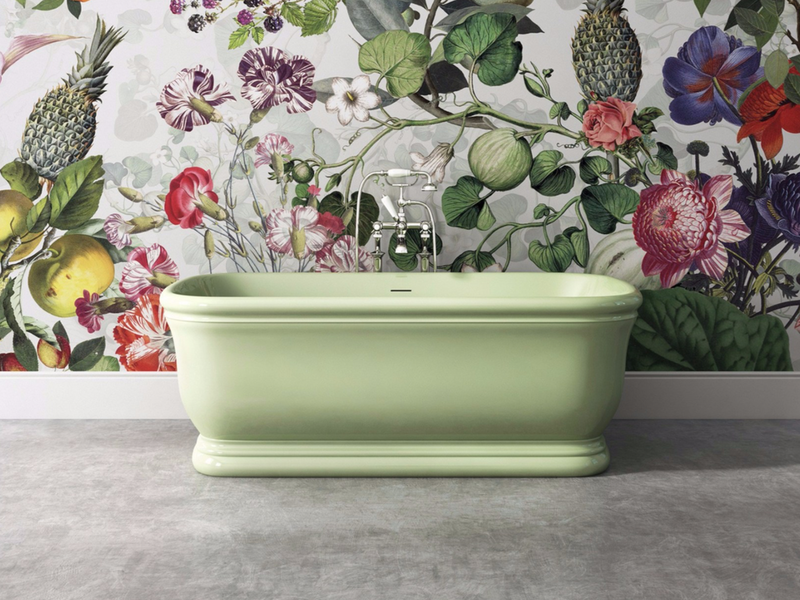 (The tub is made from Color Tec, a durable, non-porous and eco-friendly mineral-resin-polyester compound.) 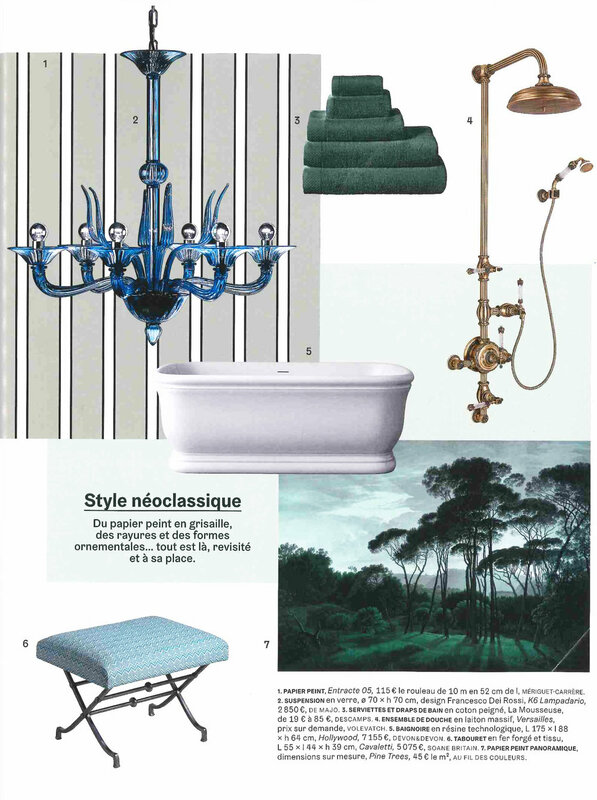 If it looks familiar, you may have spotted it in this month’s AD France, where it was included in a roundup on neoclassical design. Morris (above), another new collection of taps and fittings, has a 1940s feel with its cylindrical and flared design. The metal body (available in chrome, light gold, polished nickel, black nickel, rose gold and bronze finishes) can be paired with either black or white ceramic handles. Devon & Devon’s mosaic floor designs bring a modern spin to classical motifs and this year sees nine new designs added to the Elite collection. The patterns feature arabesques and geometric patterns, and are offered in a range of beautifully hued marbles. Why not think about them for other areas of the home? They're too pretty not to consider for other applications. 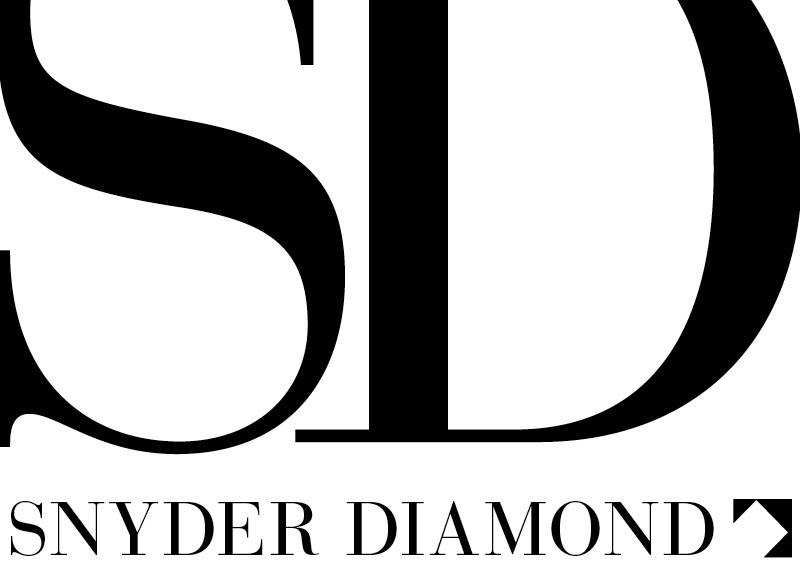 To learn more about Devon & Devon's new and classic designs, visit one of our showrooms.